Is it too late for email marketers to leverage the Halloween holiday for a campaign? Although Halloween is only one day away, brands can reach last-minute shoppers with email messages,” says Gurijt Sandhu, marketing specialist at Yes Lifecycle Marketing. She recommends that email marketers develop messaging that ties their products or services to the holiday in some way to elicit a sense of emergency or promote an immediate sale. 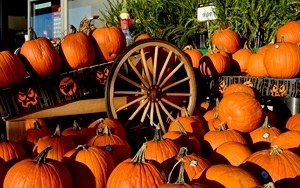 “Halloween, like any holiday, is an opportunity to use themed-promotions to drive action. Even if efforts are last minute, smart marketers will leverage the excitement over the holiday,” says Steve Dybsky, vice president of global partnerships at Persio. "Halloween is perfect for brands looking to boost engagement and revenue between back-to-school and the winter holidays,” agrees Vivek Sharma, CEO of Movable Ink. Marketing experts offered the following tips for last-minute Halloween email marketing. “Don't be shy about sending emails on Saturday or light holidays,” says Melissa Wagner, marketing manager of demand generation at Act-On Software. For example, marketers should not send emails at night when most consumers are attending a Halloween party or going trick or treating with their families. Email marketers should incorporate Halloween messaging into engaging subject lines to maximize email opens and clicks. Wagner recommends that email marketers either incorporate numbers or tips in subject lines to increase opens and engage with readers. She also says that emails should be personalized for recipients. She cites a recent SendGrid study that discovered that the most common subject line word length is seven words, but three-word subject lines have the highest engagement rates. Email marketers should be aware that their subscribers may also be procrastinating preparing for the holiday. “For many consumers, Halloween is a last-minute decision. They see people dressed up at work and decide they need simple, quick costume idea or realize they’ve forgotten to buy candy for the hundreds of trick-or-treaters who will show up in less than 24 hours,” says Ramsey Masri, CEO of OtherLevels. He recommends that marketers should segment their campaigns by geographic region to help shoppers find last-minute items and available stock. An added bonus is this allows companies to clear shelving space for upcoming Christmas merchandise. He recommends that marketers send out emails inviting subscribers to participate in an Instagram costume contest or provide DIY how-to videos for last-minute decorations. Although marketers should look to Halloween for inspiration, Wohlfarth recommends that email marketers in particular should be careful not to overuse Halloween images. “Marketers are often tempted to go big on Halloween visuals, but forget that they increase the risk of emails being classified as spam. If images are unavoidable, emails should be sensibly balanced with at least two lines of text per picture,” she says. Testing and optimizing an email campaign is critical, and marketers should not fall into the easy “just blast them” trap. Mobile optimization and formatting will be key to a successful email campaign. This is especially important considering many recipients will be on-the-go on Halloween, and will most likely receive their emails on a mobile devices. Wohlfarth recommends A/B testing in particular to maximize and measure the success of an email marketing campaign. “Try creating two or three different email campaigns, then send them out to segmented groups. Based on click-through rate and engagement, pick the most well received email campaign as the winner for your big email blast,” she says. She recommends marketers offer recipients a chance to opt-out of holiday-specific emails. This removes recipients from the extra emails during the holidays rather than unsubscribing them all together.